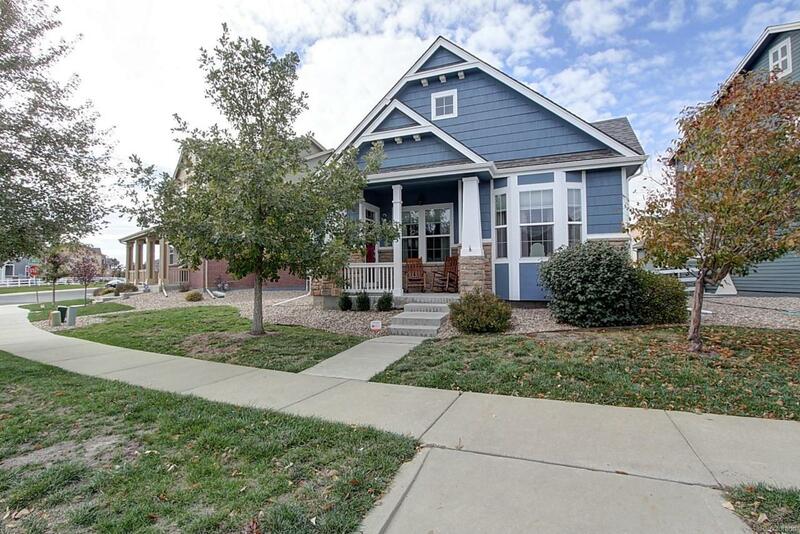 Beautiful single-family, ranch-style home with fully finished basement. Your future home is in the Parkways section of Murphy Creek offers 10-ft ceilings, 3 Bedrooms and 3 Bathrooms. Main level has formal Living Room, Dining Room, and large eat-in Kitchen with center island breakfast bar. Main-floor Master features private 5-piece bathroom with oversized tub and walk-in closet. Finished basement is well lit, and has 3rd bedroom and bathroom. Spacious Family Room is perfect for play area, Rec Room, or a relaxing movie night! Owned solar system with 10-year warranty (less than 2 years old currently). Murphy Creek offers low-maintenance living, easy access to shopping/restaurants and outdoor recreation. Community amenities include: Murphy Creek Golf Course, Club House, Tennis Courts, Pool, and Homestead Park! Walk to school! Great Home! Call now to schedule your personal showing! Association Name Primary Murphy Creek Master Assoc.